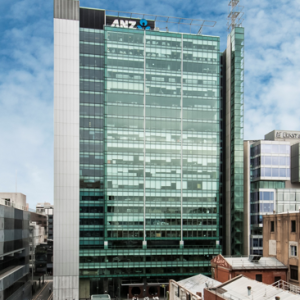 121 King William Street is an A Grade building completed in early 2008 and leased to a mixture of blue chip corporate and government tenants. 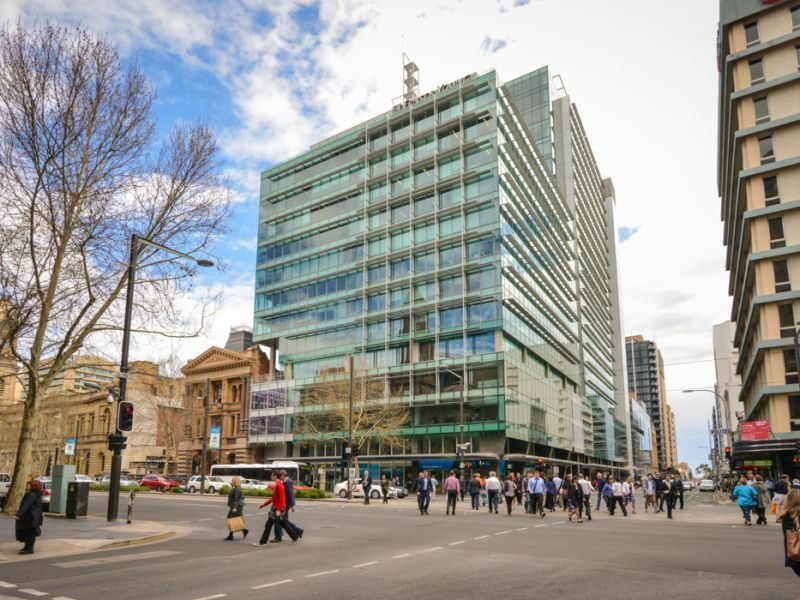 Located on a high profile corner on Adelaide’s premier street, 121 King William Street offers an excellent standard of accommodation in an unrivalled location. Boasting a stunning contemporary design and floors generally larger than 1,000m², 121 King William Street provides efficient space across a single floor for medium to large businesses. The property has floor to ceiling glass along two sides which results in excellent natural light and views on the eastern and northern sides as well as outstanding views of Victoria Square. The building was designed to a 5 Star Greenstar standard and recently received a 5 Star NABERS Energy Rating. 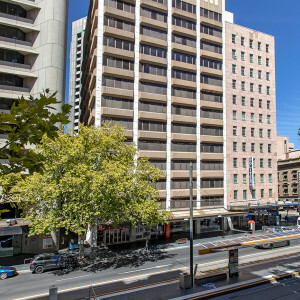 121 King William Street is located on arguably Adelaide's most prominent corner. 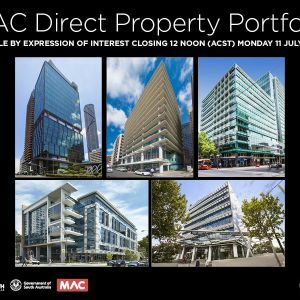 The corner of King William, Pirie and Waymouth Streets is in the heart of the CBD and provides the building with a high profile. The location is easily accessed with a tram stop on the corner as well as bus routes along King William Street and nearby parking. The recently upgraded Victoria Square is only metres away with Rundle Mall one tram stop to the north. There are four floors available being Whole Level 3 (1,002 square metres), Whole Level 4 (927.5 square metres), Part Level 9 (321 square metres) , Level 10 (1,100 square metres). Fitout is available for the use of incoming tenants. Up to four (4) secure basement car parks per floor in addition to rental (car parking numbers are subject to change).